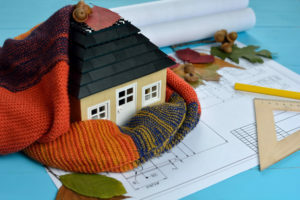 Winter’s Coming, Is Your Insulation Ready? This is the time of year that you start to worry about keeping your home warm for the winter months. The mercury has been dropping, and it’s going to plunge further. When autumn arrives, and winter up next, there’s a lot you should do to prepare. That means making sure cold air isn’t coming through your doors and windows and checking the exterior of your home for cracks that can lower temperatures and raise your energy bill. If you want to be warm without worries as old man winter comes to Long Island, Good Guys Contracting can help. At Good Guys Contracting, there are many things we can do to help you get ready for an assault by Old Man Winter. Autumn is a great time to install Marvin Windows and Doors, to enhance curb appeal while sealing in the warm air. You can also do that with fiber cement siding. 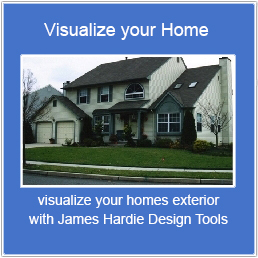 Good Guys is proud to be a Long Island James Hardie preferred remodeler. We’re expert installers of both Marvin and James Hardie products, but there’s one other tool you need in your home to keep you warm and energy efficient. You need enough home insulation. Insulation actually works all year round. According to the Department of Energy, insulation lowers both heating and cooling costs by providing resistance to heat flow. Heat can flow through conduction, passing through materials like a metal spoon in soup or circulate through liquids and gases. This is called convection. Radiant heat heats anything solid in its straight path. However, when heat travels it tends to flow from warmer to cooler until there’s no temperature difference. This can be a problem in areas of your home like attics, basements, crawl spaces and walls where pipes are protected. All of these areas may not be heated and the cool air around them will mix with the warm air of your home heating system to cool down your home’s interior. This will cause the system to work harder as your heating bill skyrockets. When installing insulation, you have to pay attention to its R-Value. The higher the R-value, the stronger the insulation is. In the US, northern climates need insulation with higher R-Value and Good Guys Contracting offers a unique product that can make installing and updating insulation easy. It’s called Tripolymer Injection Foam and it can be injected into wall cavities and it can be combined with your existing insulation. Tripolymer foam can improve the energy efficiency of your home and it’s able to insulate with an R-value of 5.1 per inch. It’s also perfect for difficult to insulate areas like pipe chasers. If you’re concerned about whether or not you have enough insulation for fall and winter, Good Guys Contracting will check for you. We’ll let you know what rooms and areas of your home will need more insulation and we’ll take care of the job with Tripolymer Foam. To learn more, contact us today.